LOVE them! I love feather/down pillows. I like they can be washed in the washing machine. Nice soft fabric cover but also seems sturdy!! Have a King Size bed so King size pillows nice loft! Filled with our softest duck feathers, refined to ensure an evenly balanced and poke-free experience unique from any other pillow which we call our nano feather fill. 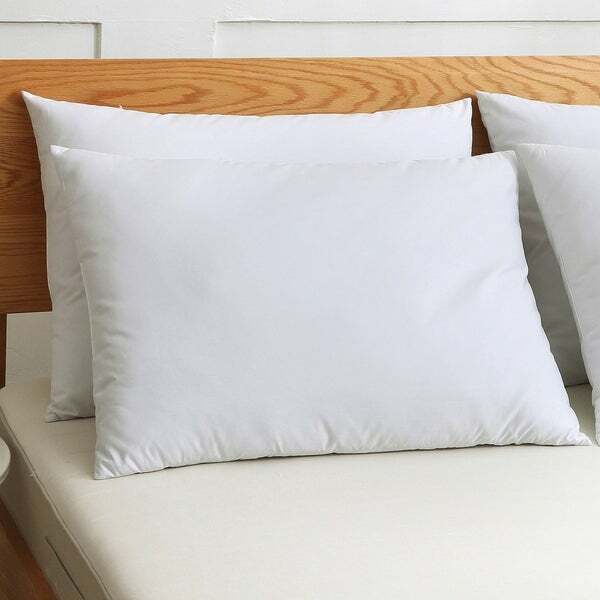 The cover is 100% all-natural cotton cover that delivers softness. Each 2-pack pillow is available in three sizes created to supply comfort for any sleep position. Easy care as these pillows are machine washable. Oxipower wash exceeds the industry standard for cleaning natural fill contents, washing our material 18 separate times ensures a complete disinfected and hypoallergenic feather fill which is Responsible Down Standard certified.